Making holiday in Costa Rica means, among other things, that you will be surrounded by hummingbirds at breakfast, while 50 meters further the crocodiles sunbathe on a sandbank of the lagoon. Macaws and many other species of parrots are moving over you. Howler monkeys shimmy over your heads from branch to branch and coatis hide in the palm trees. The same goes for the iguanas. They either hang from the tree, catch the sun, or claim the hotel couch for themselves. Various butterflies buzz around and from time to time a crab gets lost here and dodges chair legs and feet. The whole thing is accompanied acoustically by the apparently never sleeping crickets and cicadas. If this idea becomes reality, then you are not in a dream. You are on holiday in Costa Rica in the Hotel Paraíso del Cocodrilo. Just a 10 minutes walk from the beach Buena Vista. Outside the centre of Sámara, the nearest beach north of Sámara. Here you are in a natural paradise in Central America, which is located in the province Guanacaste on the peninsula Nicoya. It is located 5 km north of the centre of Sámara in a quiet area. This province is considered to be the sun province with a good climate all year round. But if you want some action, the region has a lot to offer. The Coste Rica turtle project Buena Vista has existed for about 15 years. The main objective of the conservation project is to protect the nests and females of the four species of sea turtles that live on the Pacific coast of Costa Rica. Especially those that nest on Buena Vista beach (Olive Ridley, Lepidochelys olivacea, Galápagos Soup Turtle, Chelonia mydas, Agassiss, Hawksbill, Eretmochelys, Imbricatta and Leatherback Dermochelys coriacea). These species are endangered due to different human activities. The activities carried out by the volunteers include: cleaning the beaches, collecting information on nesting activity (egg collection and nursery placement, female marking), monitoring nurseries, releasing newborn turtles and bringing the new eggs to a protected area. 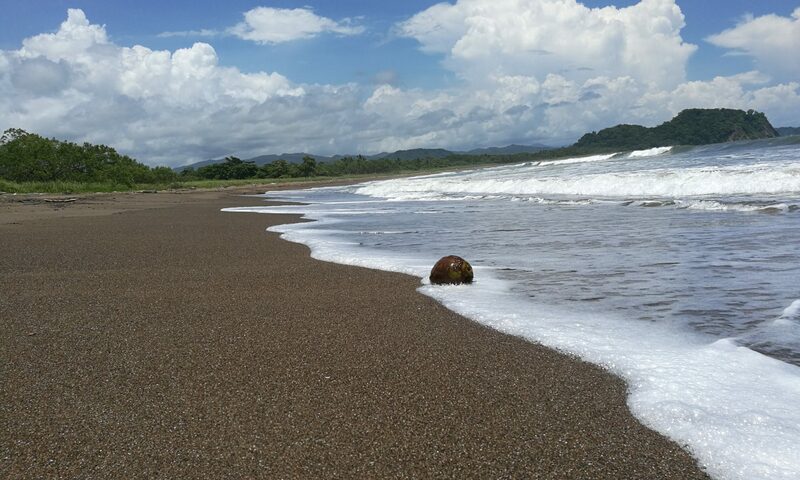 From the Costa Rica travel hotel you can easily reach the project on foot. The volunteers in the camp are happy to inform and answer all questions about egg laying, nest building and when new turtle babies hatch again. We wish all Costa Rica vacationers a wonderful 1st Advent!